Unapologetically Female: I need one of these! To protect the daily apple I throw into my bookbag on the way out the door. Ooh, I like! 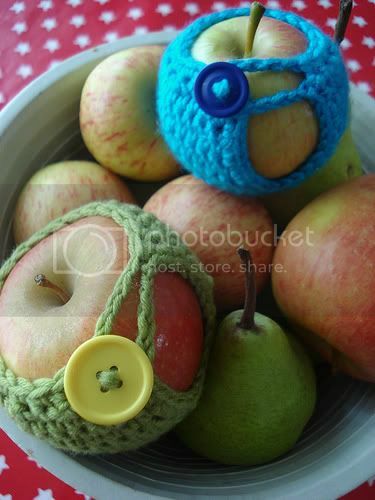 Although, I might be too lazy to actually button the apples into their knittings. I'd probably still end up tossing mine in a bag. Cute! Winter's coming around again, so when you make me my collar, you can knit this out of the remainder.